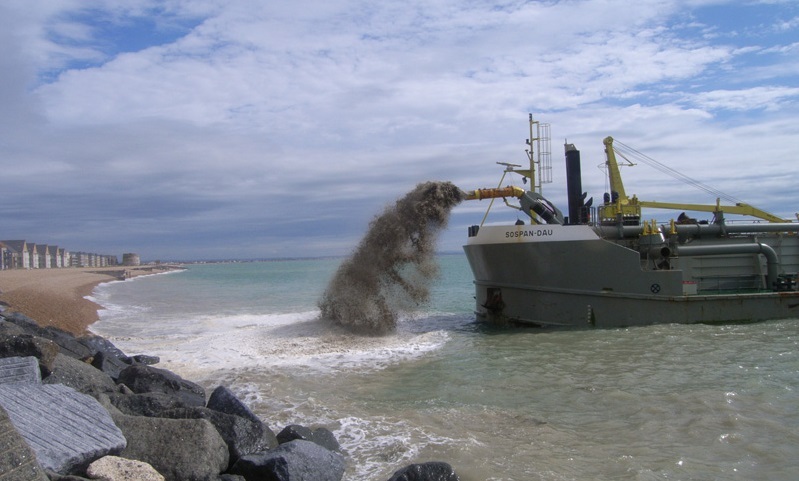 Pevensey Coastal Defence Ltd is a joint venture between Westminster Dredging, Balfour Beatty, Mouchel Parkman and Mackley. The Pevensey Bay Sea Defence contract is the first Public Private Partnership (PPP) flood defence scheme to be let in the UK, and, as a Pathfinder Project (HM Treasury designated), its success or failure is likely to be significant in future flood defence procurement policy. The Pevensey Bay Sea Defence consists of a shingle bank over 8km long between Eastbourne and Bexhill in East Sussex. Immediately inland there is an area of some 50km² that includes over 10,000 properties, caravan parks, road and rail infrastructure, in addition to an environmentally and ecologically sensitive area. The area could be flooded at high tide if the defences are ever breached. Mackley has constructed timber groynes and breastwork at Pevensey. As part of our sustainability initiative we have installed tyre bales within beach profiles as bulk fill where there is minimal risk of exposure to the elements. This provides cost savings and offers a sustainable solution for the use of old car tyres. The scheme has won many awards including Contract Journal Construction Industry and Considerate Constructors Awards.